Sometimes important events spawn political careers. Deborah Smith Walsh decided to get involved in the PTA at the Aborn School after the devastating cuts to the Lynn school system forced by the passage of Proposition 2½ in 1980. 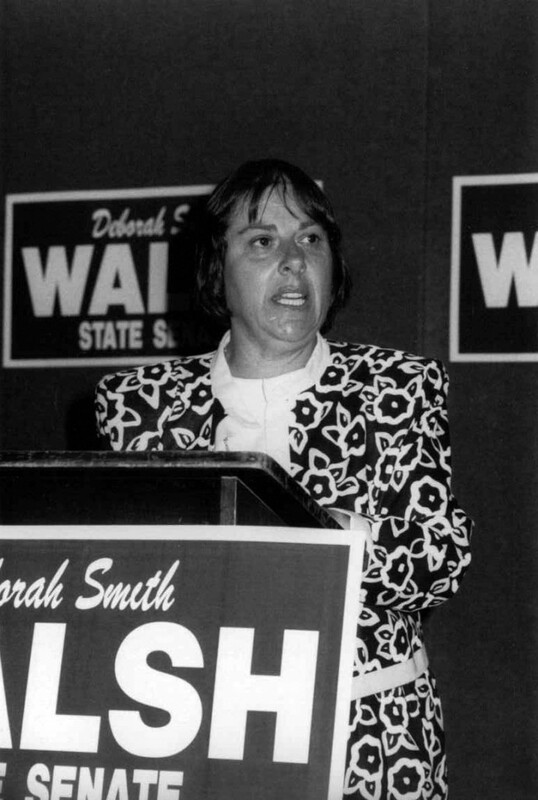 Mrs. Walsh won election to the School Committee in 1981 and served until 1991, except for a two-year blip when she unsuccessfully sought the Ward 2 council seat. Some told her that the smaller stage of the School Committee wouldn’t translate into citywide support, but in 1991 she earned an at-large seat on the City Council, where she became known for her ability to take apart municipal budgets and find savings, or preserve programs that were being cut, until better times came. “I loved my years on the City Council,” she said. She is proud of her work on the Southeast Asian Task Force, and serving as a voice for nonprofits. Over the years she has served on many boards including EDIC/Lynn, the Lynn YMCA, My Brother’s Table, the Lynn Business Education Foundation, and Family and Children’s Services. Daughter Marissa and son Steven were involved in her campaigns – son Joseph is a musical theater director in London – and Mrs. Walsh was delighted when her retirement from the council in 2003 came just after Steven was elected to the first of five terms as a Democratic state representative from Lynn. Marissa now works in book publishing in New York City. Mrs. Walsh also drew on the advice and support of her husband, Coley Walsh, a longtime advocate for Democratic causes and a lobbyist whose clients include the American Federation of Teachers.